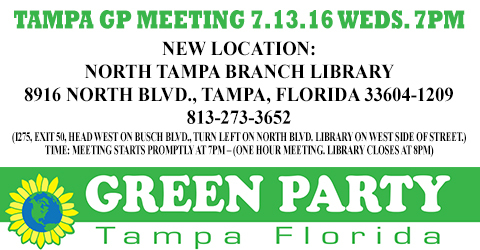 Green Party of Tampa Meeting. Weds. 7/13/16 7pm-8pm All Welcome. North Tampa Branch Library, 8916 North Blvd.